There’s likely no better place to observe changing trends in lighting and AV integration than Las Vegas. As a showplace for the latest in media presentation, the city permanently hosts three of the top conferences in the field – the Consumer Electronics Show (CES), National Association of Broadcasters (NAB), and CinemaCon, the annual get-together for the National Association of Theater Owners (NATO). 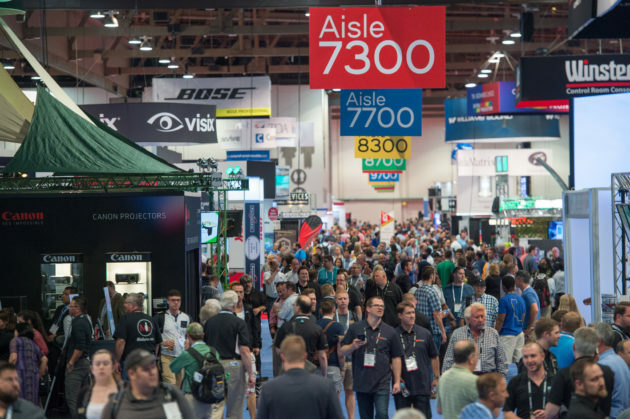 Every other year (alternating with Orlando), Las Vegas is also the home of InfoComm, the leading professional AV conference in the Western Hemisphere. 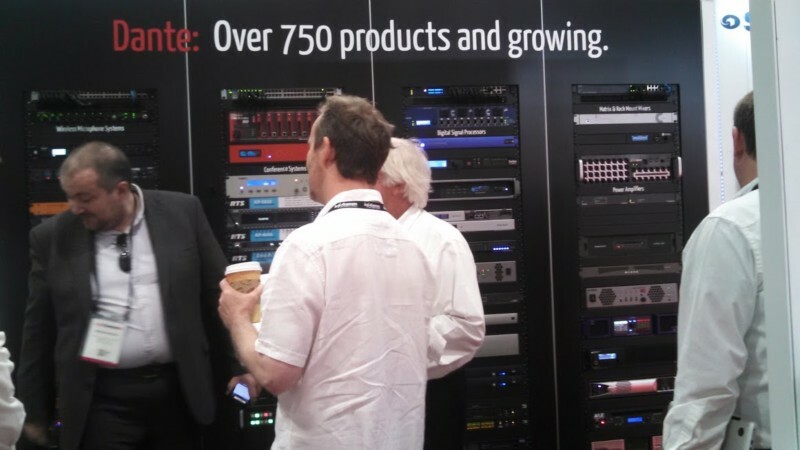 Although I’m a seasoned veteran of the other three shows, this was the first time I experienced InfoComm. I found it to be a mix of the other three – bigger, thinner higher resolution monitors with connectivity to just about everything as at CES, the latest in capture and playback technology like NAB, and bigger projectors in smaller packages like CinemaCon. 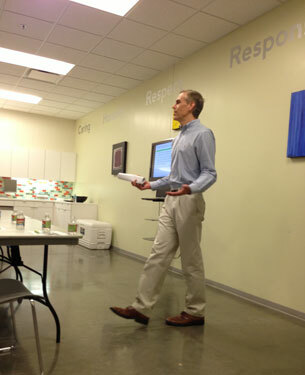 InPark’s JoeKleiman (on left) attends First Timer’s Orientation. Courtesy InfoComm. The InfoComm First Timer’s Orientation gives plenty of opportunities to ask questions and to interact with show organizers. We learned how corporate booths had been grouped together by theme: Visual in one area, audio in another, with color-coded carpets. There was an area for companies concentrating on the Internet of Things and a caged arena for drone demonstrations. Companies covered below, by Joe Kleiman: Sony, Evans & Sutherland, RenewedVision, Tightrope Media Systems, Hitachi, MSE Audio, Christie, Sennheiser, Powersoft, Barix, Audinate and Middle Atlantic Products. 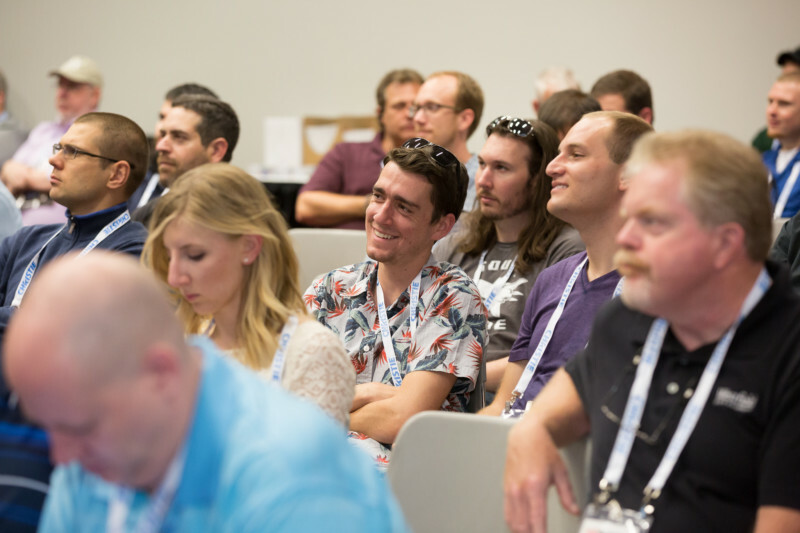 Click here for Part 1 by Judith Rubin, covering Barco, Harman, Alcorn McBride, Leyard & Planar, LG, Panasonic, Casio, Vectorworks Inc., 7th Sense Design, AVNation’s party and John Huntington & Jim Janninck’s annual Geekout (which included Electrosonic, Kroh Tech, Nightlife Productions and ATI). Digistar 6 demonstration theater at SONY booth. Photo by Joe Kleiman. At the center of the Sony pavilion sat a 4K immersive dome where E&S was demonstrating the new Digistar 6, under the watchful eye of Michael Daut, E&S Director of Show Production and Marketing. Two 4K phosphor laser SXRD projectors provided the 8K wraparound image. 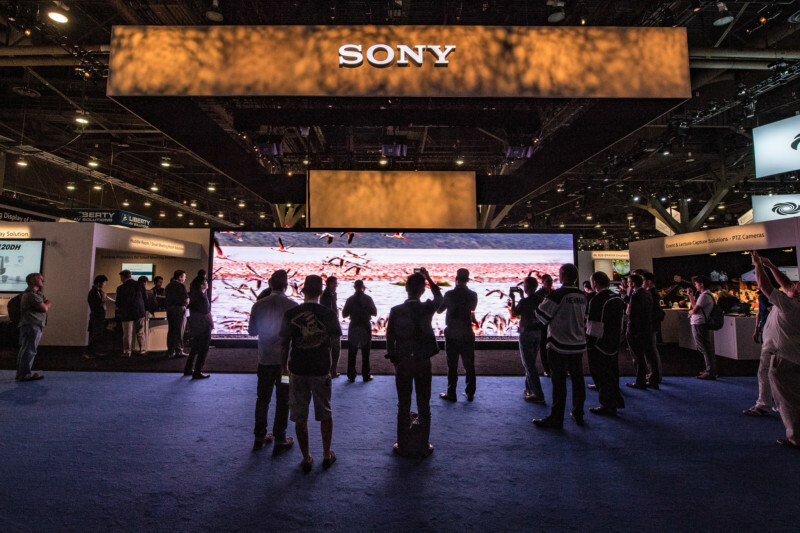 Also on display was Sony’s CLEDIS (Crystal LED Integrated Structure), 32 feet long and 9 feet high, with an 8K x 12K image. Devised of multiple panels, the display showed strong colors and blacks, with a contrast of more than 1,000,000:1. A number of other InfoComm exhibitors also had large scale 8K displays of various kinds. 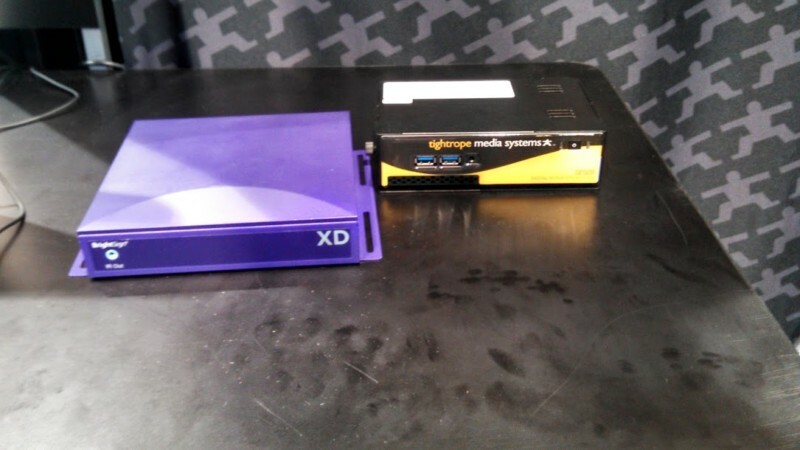 Brightsign media players optimized for Tightrope Carousel software. Photo by Joe Kleiman. Seth Phillips, a software developer at Tightrope Media Systems, shared how his company is integrating interactivity into digital signage. Current installations include an interactive map at the Mississippi Watershed Project, along with a number of transportation and sports venues. 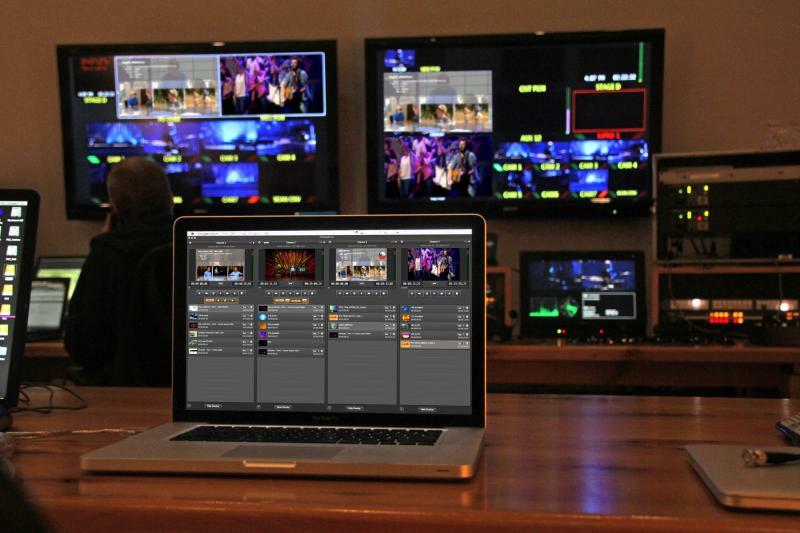 Tightrope recently entered into a partnership with BrightSign that has resulted in the ability for its Carousel digital software to work seamlessly with BrightSign media players. Carousel allows the user to tell it what he or she wants to communicate, offers graphic design, and ties in with Twitter and Facebook. Hitachi was showcasing camera systems for video capture. Among the items being showcased were the KT-PN490S pan-tilt head and KT-RW8804 multi-function control panel, both from KXWELL. The head has a dampening effect for startup and stop to facilitate smooth movement and has remote focus, allowing the camera to remain upright. It attaches to the controller, which can operate up to four cameras via joystick, through a CAT5 cable. Already the system is being used for live events being filmed in 4K in Las Vegas, including Blue Man Group and Cirque du Soleil’s KA. A quick run through DPI’s InfoComm booth showed what a difference 14 years can make! In 2002, I asked Digital Projection International (DPI) to send one of their Lightning projectors to the IMAX theater I was managing at the time in Harrisburg, PA for a trial. We wanted to see how the 16,000 lumen 1280 x 1024 image would hold up on the giant screen. When the projector arrived, at 30 inches wide and more than 3 ½ feet long, only one person could fit in the elevator with it. DPI’s 12,000 lumen Insight 4K Laser projects 4096 x 2160 images from a 27.5 inch wide by a 3 foot chassis. Although only slightly smaller than the Lightning, the weight of the two machines shows the difference smaller and lighter components produce over time – the Insight, at 148 pounds, is 100 pounds lighter than the Lightning. 2K and 4K projectors abounded at the show, and in much smaller frames. 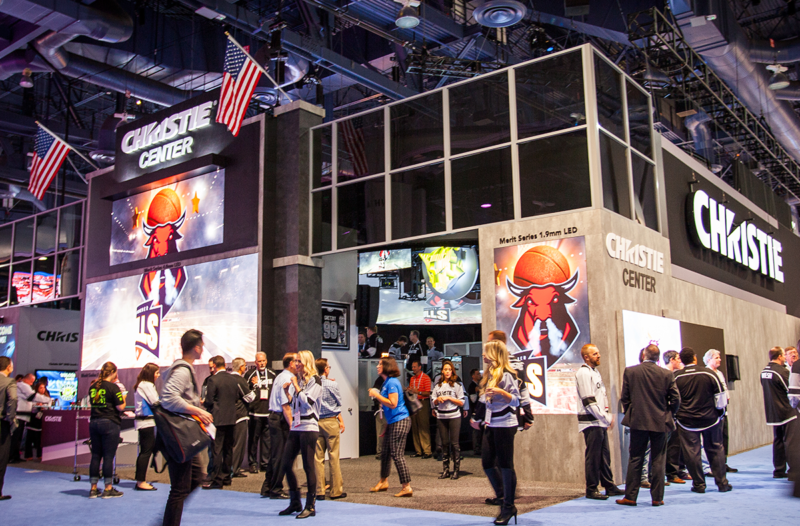 At Christie’s sports themed booth, the company’s Boxer series of projectors took center stage, showcasing how a presentation can be composed on a curved screen through blended images from multiple projection surfaces, and in projection mapping. Chris Gordon, a Software Developer for Christie, guided me through the company’s Mystique software suite, designed exclusively for the planning of projection mapped productions. Christie Mystique demonstration. Courtesy Christie. With Christie Mystique, a virtual model of the projection surface is created in the computer, which can than be viewed via an Oculus Rift viewer. A physical 3D model is then printed via a 3D printer. This can be any shape – the exterior of a building or the floor of an arena, for example. Using small, interlocked Pico projectors and a camera, the actual projection can be tested, refined, and changed on this 3D surface. The entire process is customer driven and designed to both give the customer control and to give the customer the desired result. Audinate booth. Photo by Joe Kleiman. While the video displays were amazing, one can’t have AV without audio, and the booths together on InfoComm’s big red audio carpet proved just as strong. Very much in evidence was the trend to using Dante, an uncompressed, multi-channel digital media networking technology for audio transmission over standard IT networks developed by Audinate. (This indicated a switch from using Cobranet, which was an early success at audio transmission over Ethernet.) Audinate CEO Lee Ellison shared the extent to which the professional AV industry has adopted the technology – it’s integrated into 90% of equipment from the top vendors, 100% of the top mixing systems, 60% of the top amps, and with 300 licensed companies, with more on the way, has been adopted into 80% of all new products. For an example in the attractions world: The London Eye systems recently were upgraded to use Dante. XT-Spike Line Array Speaker. Photo by Joe Kleiman. One of the companies that has begun integrating Dante into its equipment is MSE Audio, which features a number of brands for a number of audio solutions under its umbrella. Its Soundtube brand has been positioned for the attractions and museum sectors. 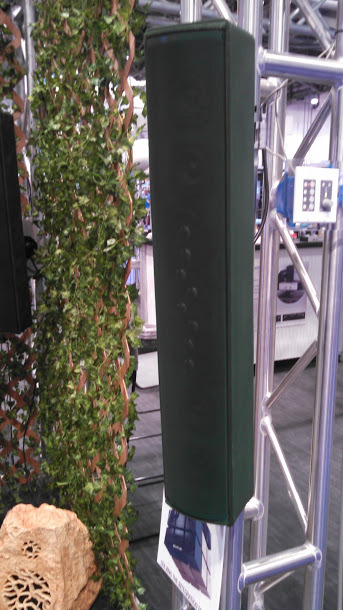 The XT-Spike Line Array Speaker (which is currently not Dante enabled) features eight tweeters and 8 woofers with a waterproof input and can be wall mounted or attached to a spike to the ground. MSE has also recently acquired Museum Tools, and its Secret Sound parabolic speaker line, used in museums for over 20 years to present directional sound in a discreet area. 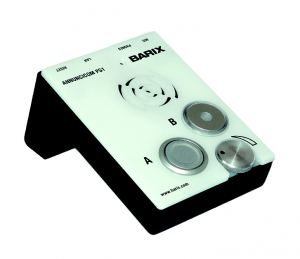 Barix one touch IP paging system. Courtesy LineQ. Barix’s audio over IP solutions, distributed in the US by LineQ, are so powerful and sensitive, that they’ve been employed by Pacific Wild to capture and stream live sounds of Humpback Whales in the Canadian Pacific and by Seismic Warning Systems to monitor earthquakes in California. In 2009, Barix audio over IP and automation devices used for on-demand audio playback, live music streaming and message repeating were put into action at Nickelodeon Universe at Mall of America. The company’s systems are user friendly, with a single button app available for smart phones and an IP protocol that can carry a Dolby Digital signal. Sennheiser featured its Speechline digital wireless microphone. The microphone is wireless up to 100 meters and uses automatic leveling. 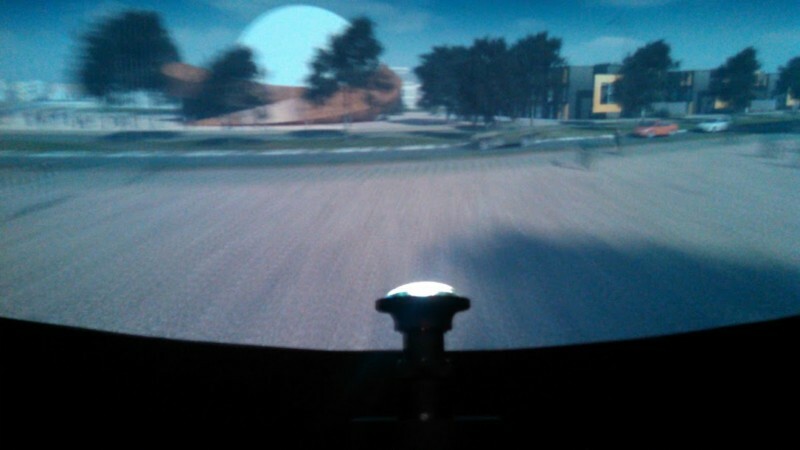 The unit is also offered in a headset platform, utilizing Sennheiser’s mk1 capsule. 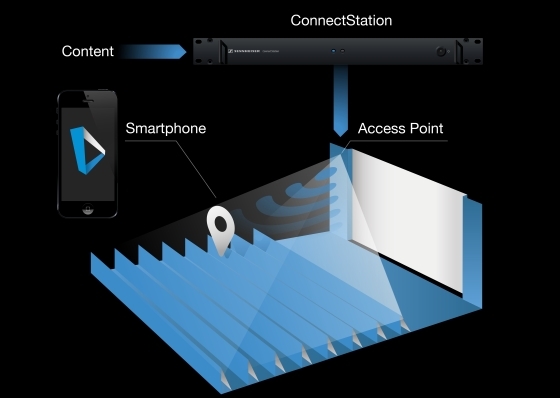 Another new product from Sennheiser was Mobile Connect, and as a former giant screen theater operator, I was intrigued by this software. Assisted listening devices typically involve both a transceiver and a headset, lent out to a patron and integrated with the main audio control sound system – typically through an additional channel. With Mobile Connect, the audio signal is transmitted directly via WiFi to an app on the patron’s mobile device. Not only does this promise to eliminate concerns about transmission issues, but the app features a touchscreen balance function, where by sliding their finger over four quadrants on the app, hearing impaired patrons can select the best audio balance for their needs. MobileConnect is a joint project with the Fraunhofer Institute for Digital Media Technology near Oldenberg, Germany. From Italy comes Powersoft and its deva interactive audio system. 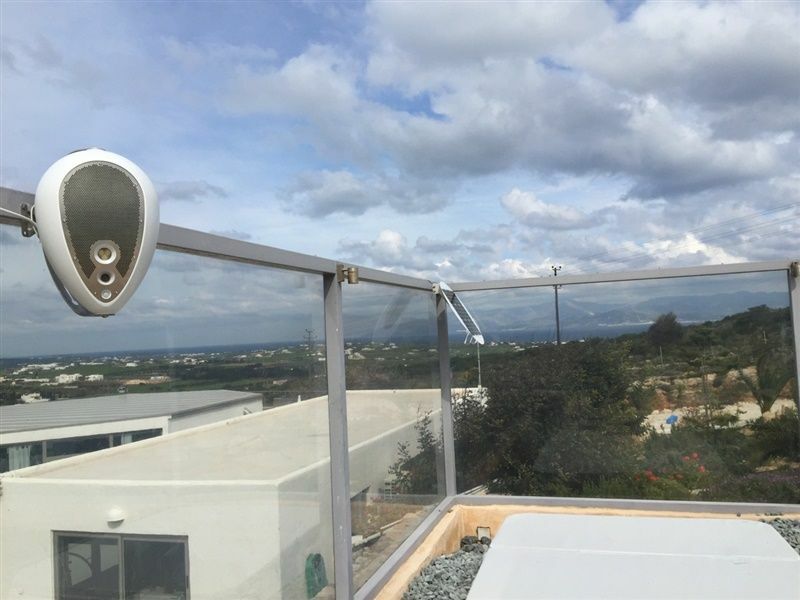 Housed in a weatherproof, tear-shaped structure, each unit is solar powered and designed to handle bi-directional wireless AV communication. In addition to audio, the units are designed to house LED lighting, take still photos or 1080p video, or operate with a GPS housing and motion sensor. 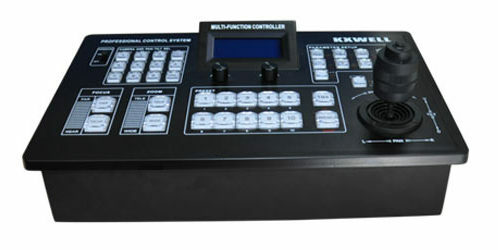 Powersoft reps see it as a good fit for theme park rides where the audio is along the route external to the vehicle. This system allows for in-ride photos or complete video of the ride to be taken for sale afterwards. Mike Brown of Middle Atlantic Products. Photo by Joe Kleiman. As important as audio and visual systems are, they can go down without a reliable power source. According to Mike Brown, Middle Atlantic Products President, “Our business is based on reliability, protection, and control. 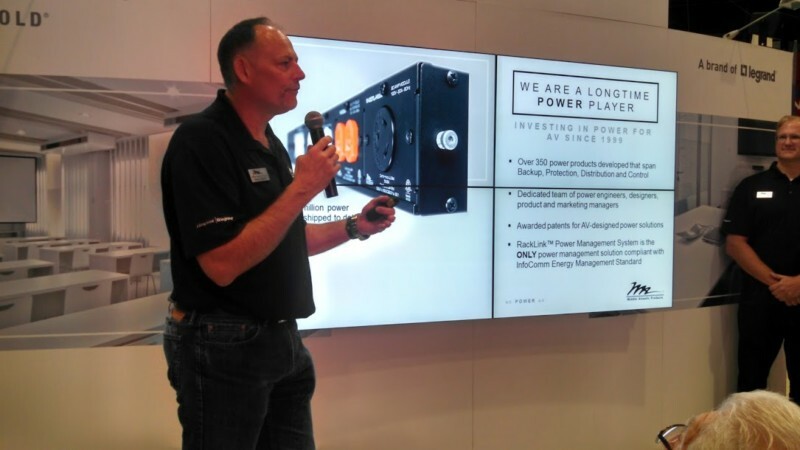 Our RLNK is the only power outlet with surge protection on the market in compliance with InfoComm’s energy standards.” With 350 patents on power systems, Middle Atlantic’s power units are designed for devices interconnected with the Internet of Things and with a smaller hardware footprint. In addition to surge protection, the company offers protection against sag, which could have just as detrimental an effect on hardware. The Internet of Things (IoT) has become a buzzword in the AV integration community – OK, everywhere else too… Among the various developments we found were increased connectivity over the Internet and to mobile devices through wifi, larger displays with higher definitions, increased capacity in projectors with ever-shrinking sizes, and the convergence of varying technologies to provide new opportunities for digital signage and audio. 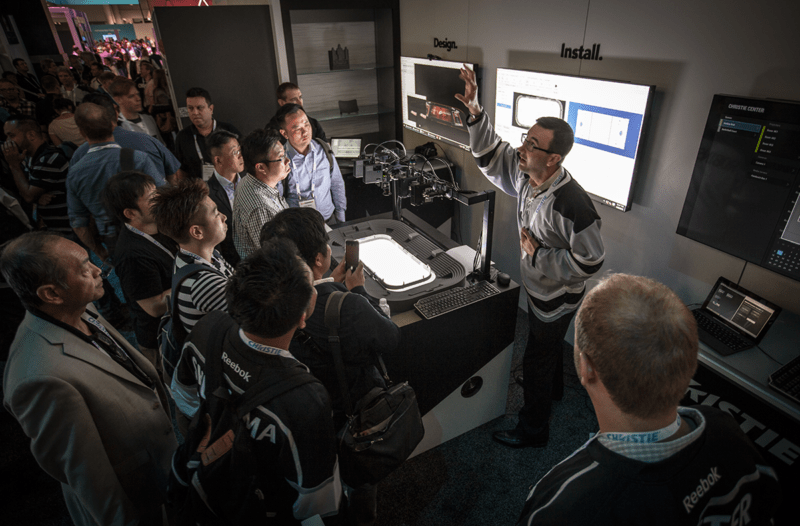 One day, soon, much of what we saw on the InfoComm floor will be mainstay technology up and down the Las Vegas Strip and in visitor attractions around the world.